The Office of Information Technology (OIT) was first formed through the passage of Senate Bill 117 and was signed into law on May 21, 2013. 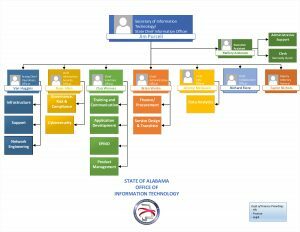 As enacted, Act 2013-68 also established the position of Secretary of Information Technology – the first time in Alabama’s history that a cabinet-level position was created specifically for Information Technology (IT). On May 16, 2017, Governor Kay Ivey signed into law Act 2017-282, requiring the Information Service Division (ISD) of the Department of Finance to transfer to the OIT. The legislation set an effective date of October 1, 2017. 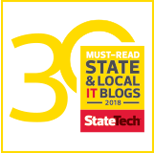 Consolidating the state’s IT agencies enhances operational efficiency and resiliency, furthers the state’s goal of service delivery transformation, and streamlines the state’s decisional structure for IT. OIT focuses on three primary mandates: IT Strategic Planning, IT Governance, and IT Resource Utilization. The mission of the Office of Information Technology is to make the State of Alabama Government run Safer, Better, Faster, and Cheaper. To make IT a trusted partner to agencies as they serve the people of Alabama. To reduce redundancies and application costs. Provide a more effective environment for data-driven decision-making. Be more agile in responding to new technologies as they develop, while employing best practices in risk mitigation.